The Nation Books & The Studley Graduate Program in International Affairs (SGPIA) present “Celebrating Eduardo Galeano“. On the occasion of the publication of Eduardo Galeano’s last work, Hunter of Stories, Amy Goodman will chair a celebration of the master’s life and work with a distinguished panel of journalists, artists, and academics who were influenced by his work, including filmmaker Jessica Hagedorn and CUNY Professor Alan Aja. More speakers TBA. Master storyteller Eduardo Galeano was unique among his contemporaries—Gabriel Garcia Marquez and Mario Vargas Llosa among them—for his commitment to retelling our many histories, including the stories of those who were disenfranchised. A philosopher poet, his nonfiction is infused with such passion and imagination that it matches the intensity and the appeal of Latin America’s very best fiction. 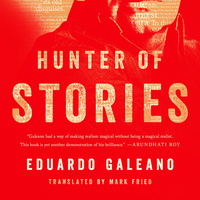 Comprised of all new material, published for the first time in a wonderful English translation by longtime collaborator Mark Fried, Hunter of Stories is a deeply considered collection of Galeano’s final musings and stories on history, memory, humor, and tragedy. Written in his signature style—vignettes that fluidly combine dialogue, fables, and anecdotes—every page displays the original thinking and compassion that has earned Galeano decades and continents of renown. The event will be held on November 8 at The New School, 63 Fifth Ave, NY in Room UL105 at 8pm. Presented by The New School’s Studley Graduate Program in International Affairs (SGPIA).